Since 1985 VIP REALTY has been committed to being number one in service for our clients, customers and the community. We represent buyers, sellers, landlords and tenants on a short or long term basis from one end of SAND KEY to the other. We are SAND KEY’S oldest independently owned real estate company conveniently located directly on the beach. Our agents and the principals of our company are committed to providing the most current and accurate statistics for all your real estate needs. Call us at 1-800-225-0417 to book your vacation today! 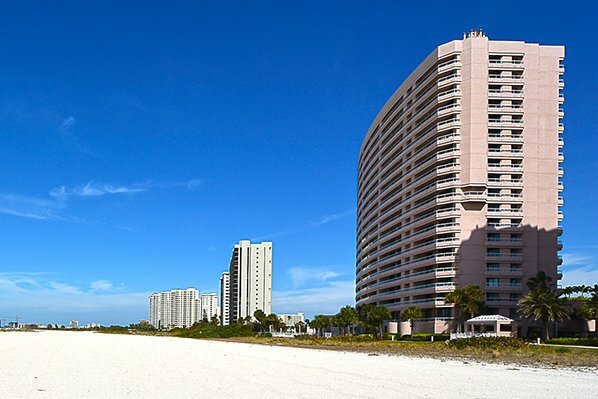 This magnificent structure is Sand Key’s most popular condominium. Its unique architecture sets it apart from all other buildings. Enjoy two pools, two saunas, tennis courts, a billiard room, and 24 hour security. Units range from 1 bed/2 bath to 3 bed/2.5 bath. Our office is conveniently located on the Cresent Beach Club property. 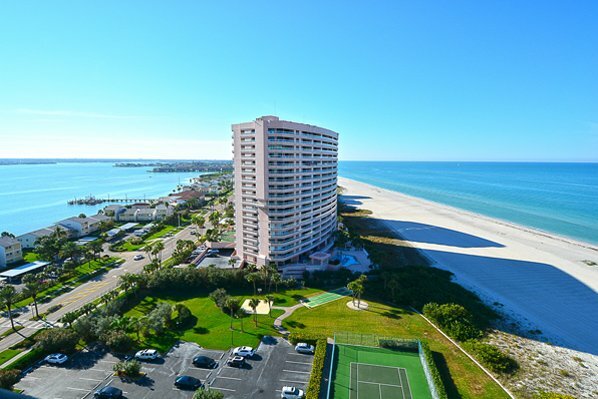 This luxury Gulf-front condominium has beautiful views from every floor. 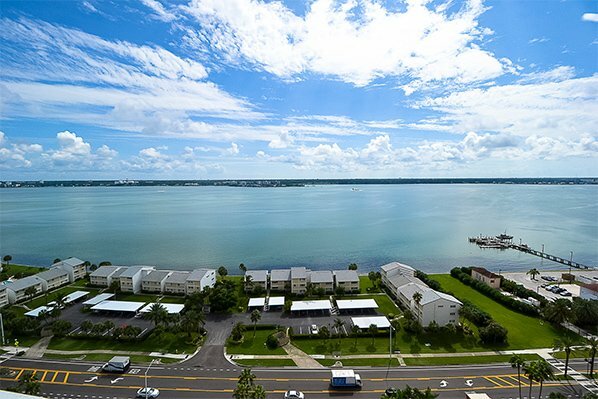 All living areas are open to the Gulf of Mexico, overlooking Clearwater Beach! There are 1 bed/1 bath units as well as 2 bed/2 bath units. All rentals have a direct view of the white sandy beach, and guests can enjoy spectacular sunsets from the balcony. © Copyright 2017 VIP Realty Inc.